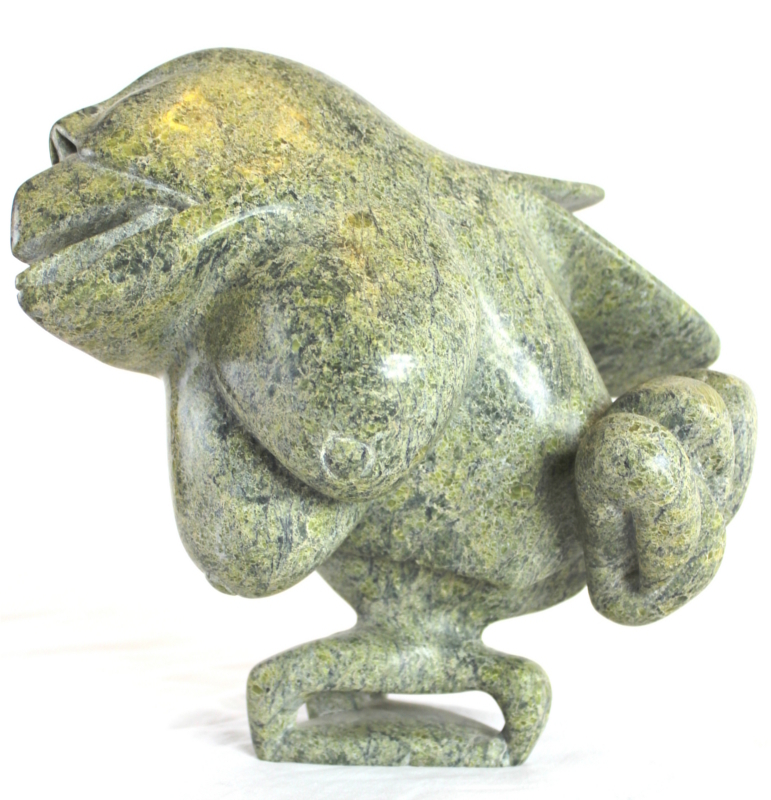 Toonoo comes from a family of artists and describes his grandfather, Kopapik Ragee, as his biggest influence. 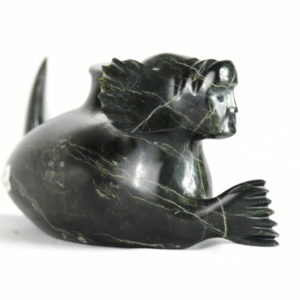 He started carving at the age of ten and recalls that it was either a bird or a seal. 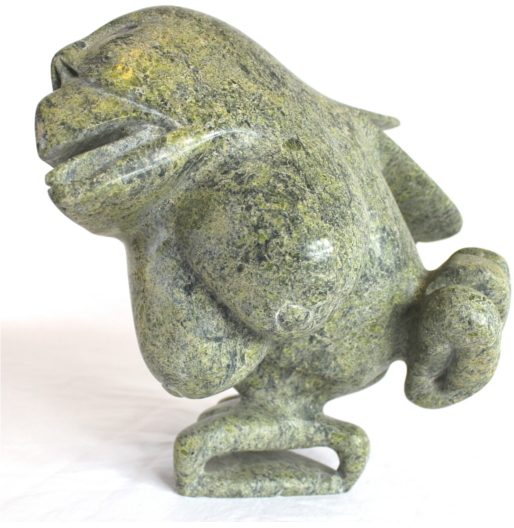 Since these humble beginnings, Toonoo has come to gain worldwide recognition as one of the most prolific Inuit artists of his generation. 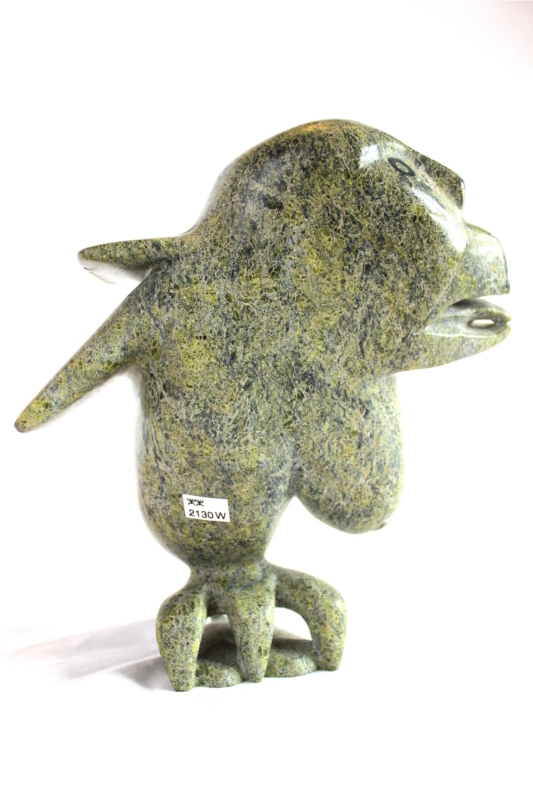 Typically carving in serpentine or marble, Toonoo states: “I like the colours and also the textures of both stones. When I’m starting on a piece of stone, I like to slowly work on the piece until the shape starts forming into a shape I can recognize. Sometimes I just go by the shape of the stone. 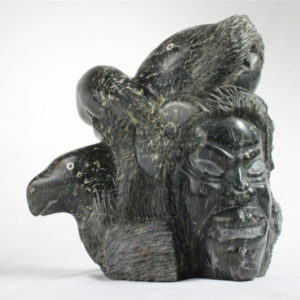 My favourite subjects are bird figures with human faces.” Toonoo’s work is highly sought after and can be found in numerous galleries around the world. 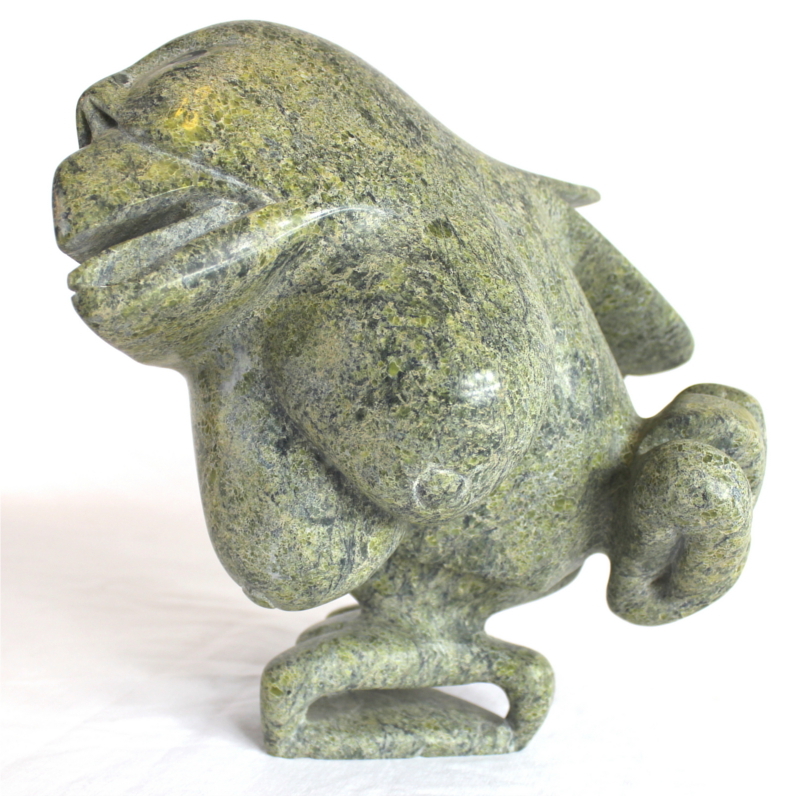 His unique and imaginative pieces, and recognizable style, allow him to stand-out as one of the most innovative Inuit artists still creating today. 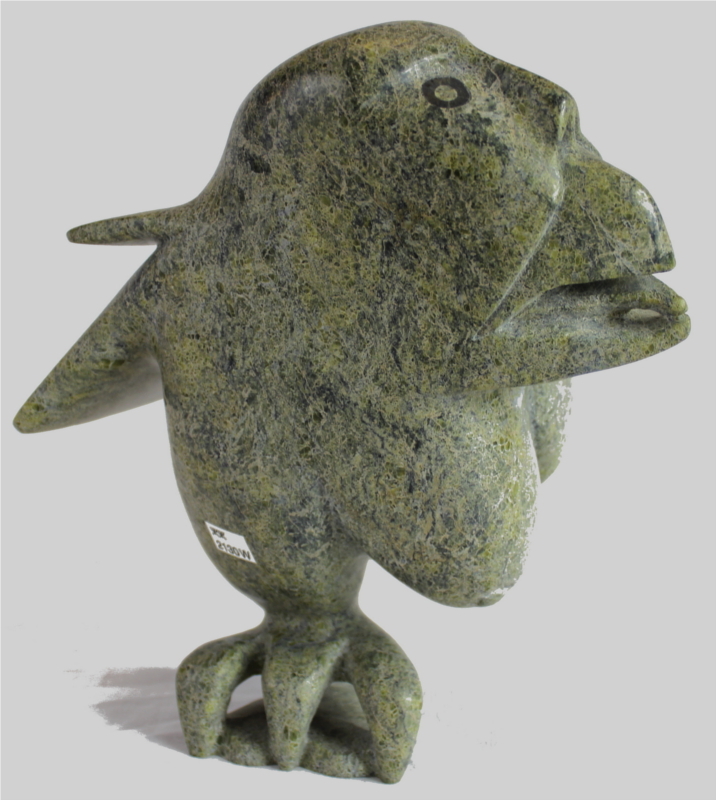 Toonoo Sharky is the son of late carver Josephee Sharky and Ragee Killiktee. 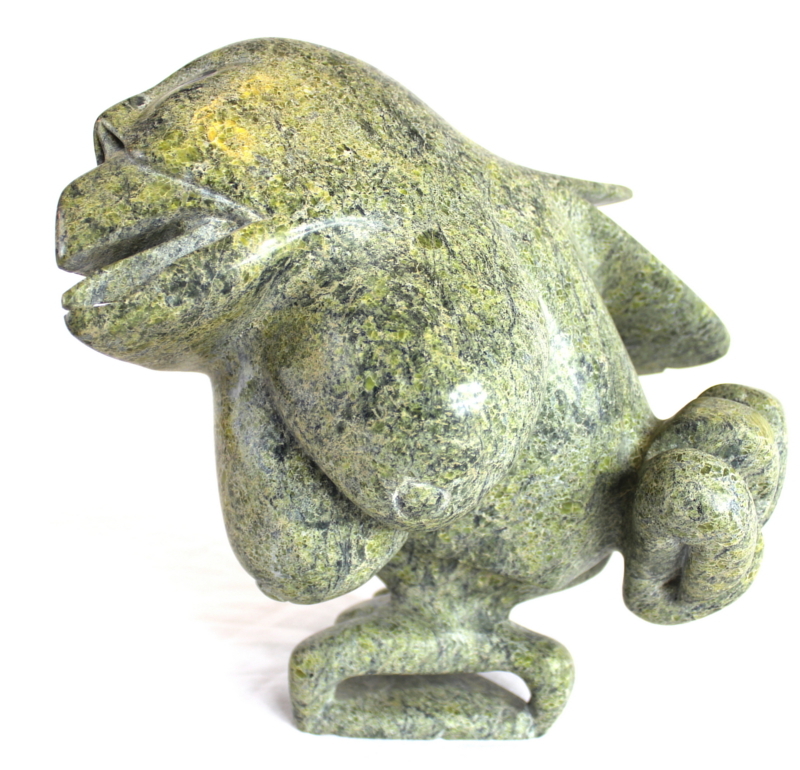 He was born June 5, 1970 in the Iqaluit hospital and has lived in Cape Dorset all his life.
. Over the years he has created an impressive body of work using the Baffin Island serpentine Working primarily in serpentine stone and marble. He is fascinated with spirit beings and his themes often include vivid transformational treatments of wildlife. 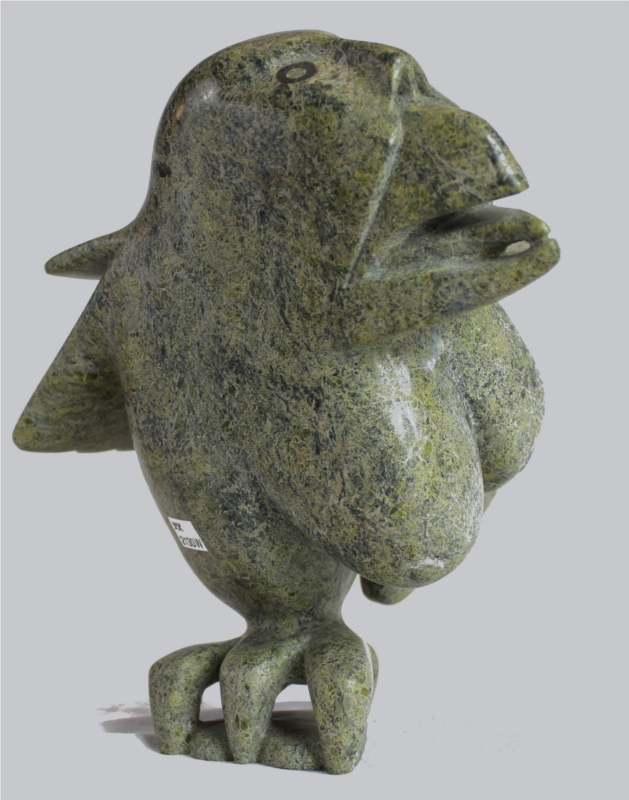 His favourite subjects include fanciful and quite dramatic treatments of wildlife, particularly birds, often incorporating transformational imagery creating powerful and humorous representations. Sharky certainly represents a new generation of artists. 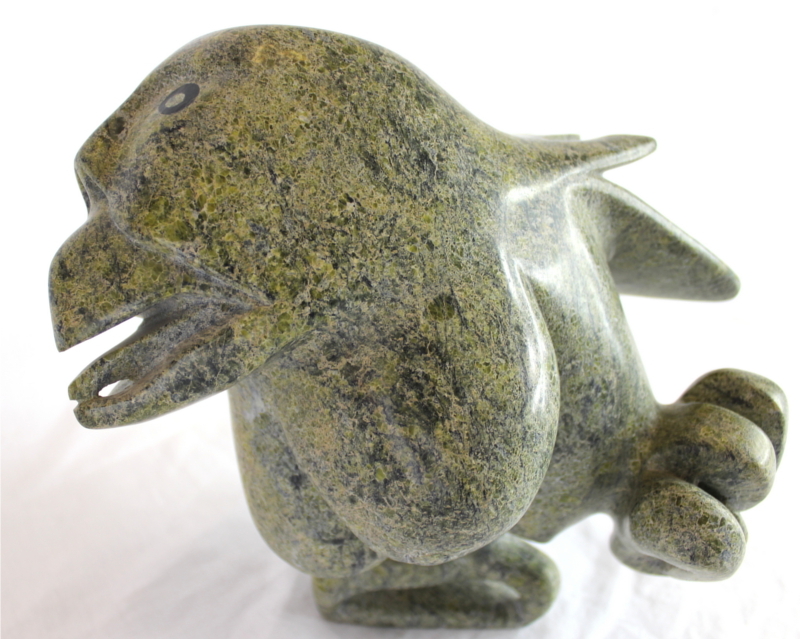 For his grandfather, carving was a new endeavour he came to later in life after years of living on the land in the traditional Inuit lifestyle. Two generations later, Toonoo Sharky has grown up surrounded by artists, instilling in his art an entirely new perspective. 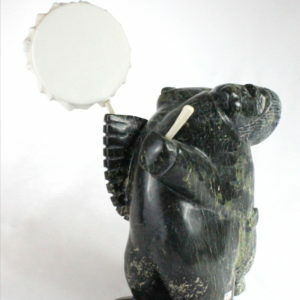 Sharky’s work has been widely shown, included in exhibitions across Canada and the U.S. as well as in France and Germany. 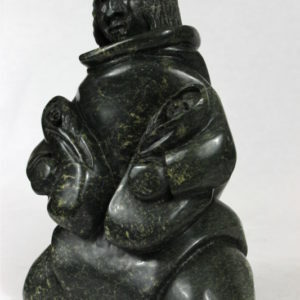 He was elected to the Royal Canadian Academy in 2003.